Hidden away on a dimly lit shelf in the basement of UCLA's Art Library is a charming book of 1980s Japanese product design edited by Koichi Ando. Although I can't quite excuse the book's woefully inadequate representation of female designers (only two! 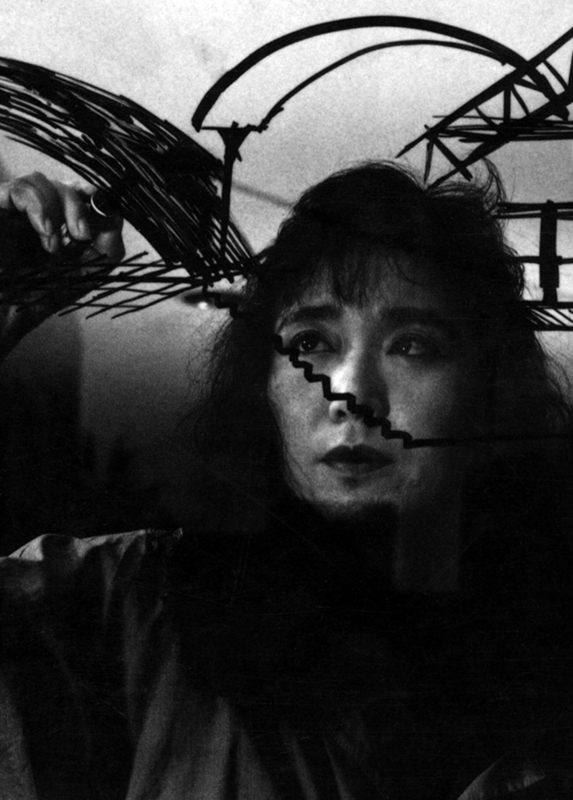 ), I am grateful that it introduced me to the work of Hisako Watanabe. 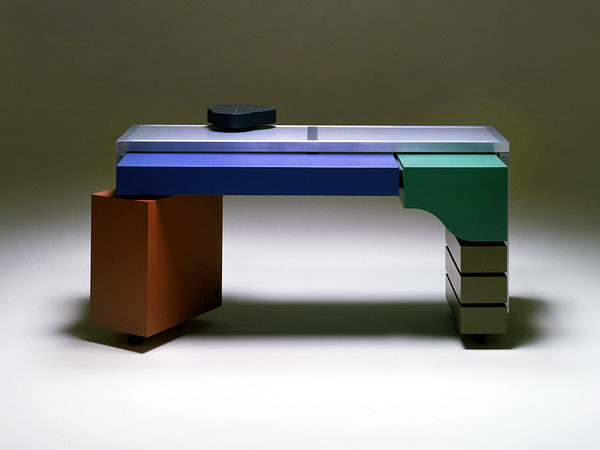 Watanabe's designs are pure eye candy—full of playful lines, loud colors and unmistakable Memphis influences. She was born in Osaka in 1951 and graduated from the Department of Stage and Display Design at Musahino Art University in 1976. After school she worked for a year in France before establishing The Air Design Studio with collaborator Kenji Oki in 1979. Working both collaboratively and on their own, they have produced a number of sculptural furniture and lighting designs, as well as an impressive range of custom interiors for boutiques, cafes and showrooms. While there isn't much information available on Watanabe in English, I did locate a brief 1989 catalog of The Air's interior projects. 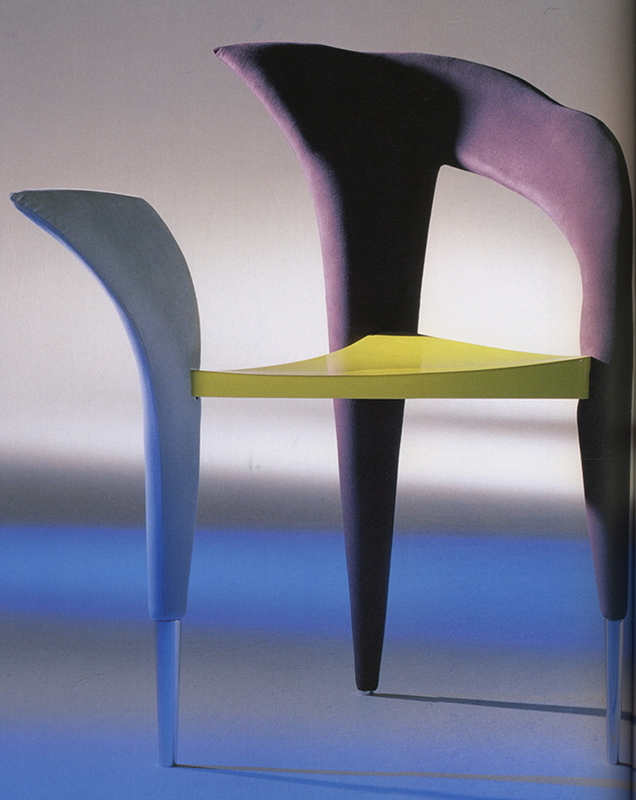 In it, Watanabe writes about the inspiration behind three of her designs from 1988—the Sur-Male chair, the Trois Flamants tables and the Papillon sofa. 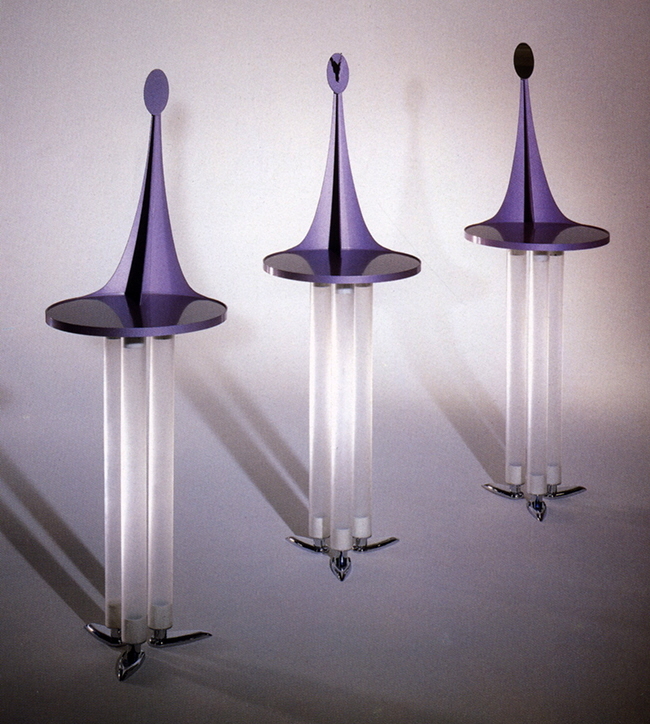 This trio was created as an ode to the "memory of the Space Age of 1967, and to the Flower Children of 1968." Or, as she goes on to write, "it is a fusion of the speed mania of technologists and the countermeasures of the ecologists. It is also a dream for the long, but all too short journey to 1999." Luckily, Watanabe's journey has continued well past 1999, and The Air Design Studio has carried on designing objects and spaces true to its own radical (and often whimsical) vision of the future. 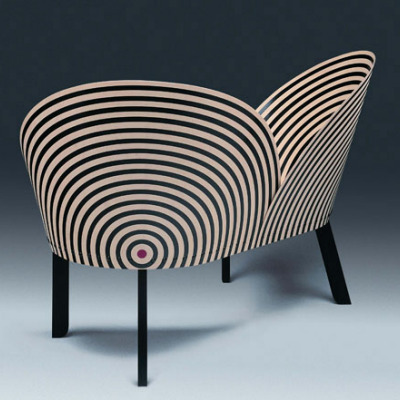 The 1988 Papillon sofa, manufactured by Sparks, has a backrest formed in the shape of butterfly wings and a base of coil springs, which allow the sofa to move and bounce in all directions. 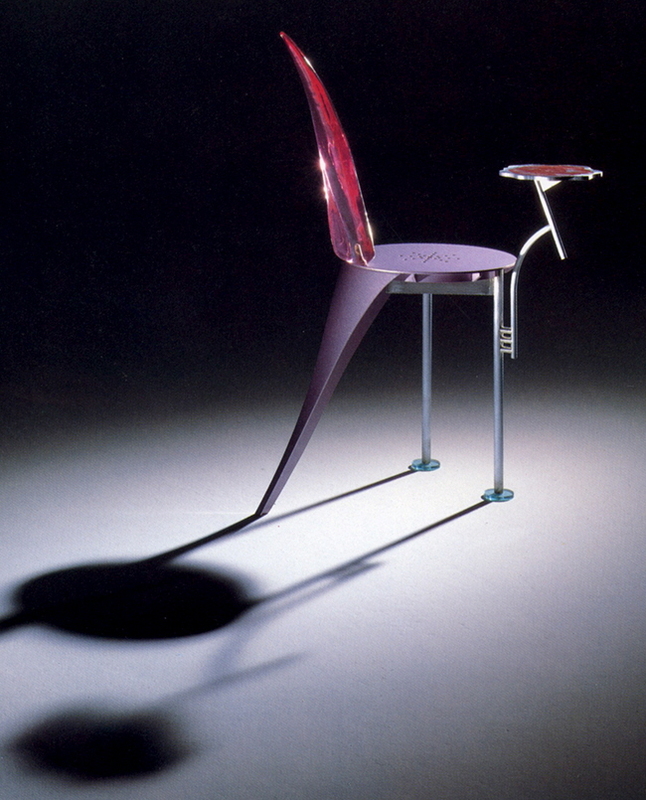 The three-legged Sur-Male chair—also from 1988 and manufactured by Sparks—combines a steel base with an acrylic backrest. The Cosmic-Plant coat hanger, made of neon, steel pipe and aluminum. Manufactured by Ishimaru, 1989. 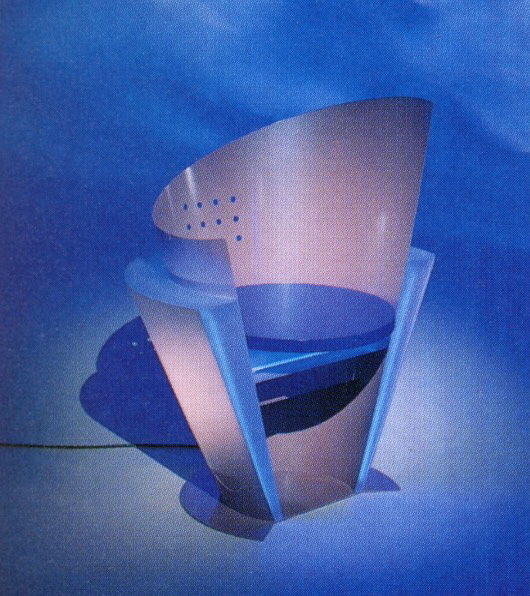 Inazuma-Gari chair, 1989. Steel, melamine, fired paint, neon, frosted acrylic. 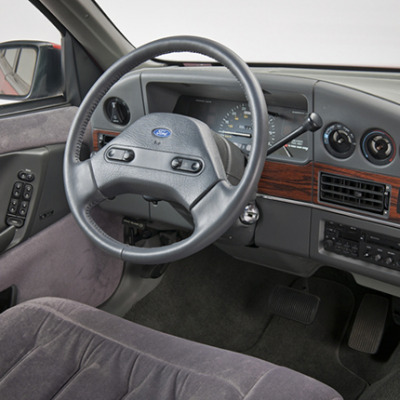 Manufactured by Sparks. 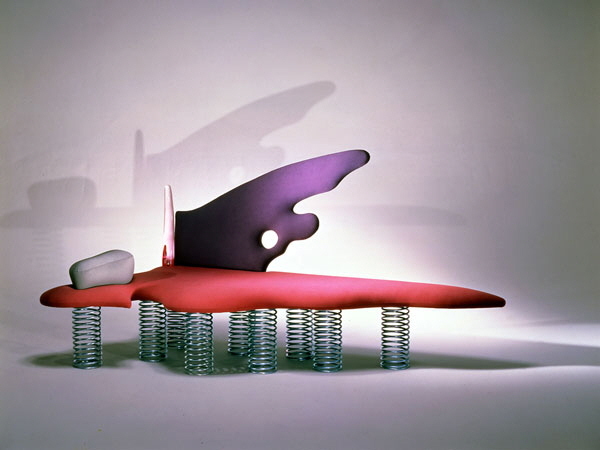 Sexoid II chair, 1989. Fabric, wood, polyurethane paint. 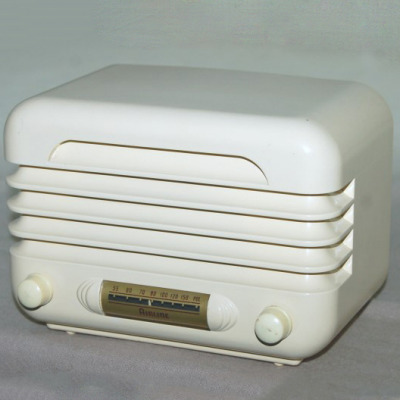 Manufactured by Gotand Seisakusyo. 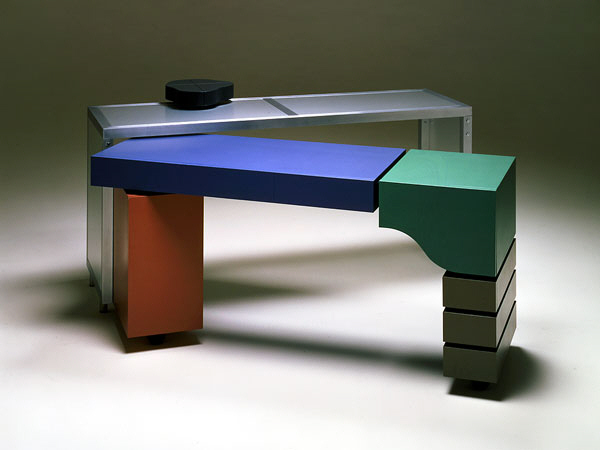 The Analogon desk from 1984 has a body of sheet aluminum and painted wooden drawer components. Manufactured by Ishimaru. 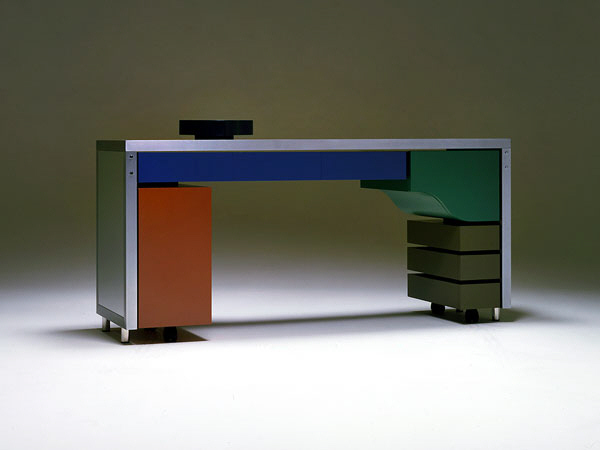 The desk's storage drawers can be extended and also pivoted to provide additional work space. 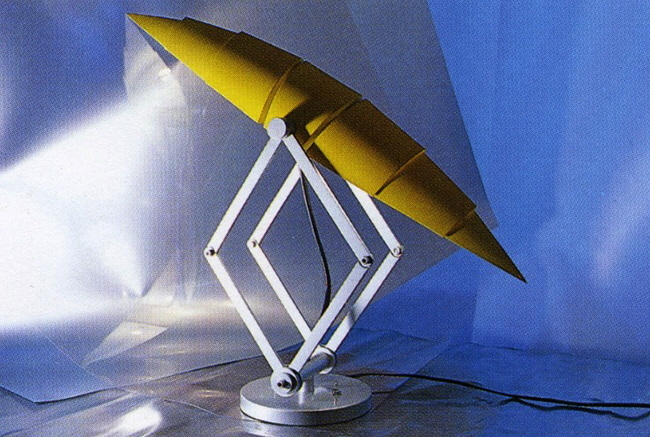 Osiris II light, 1987. Steel, hammer-tone. Manufactured by Ishimaru. 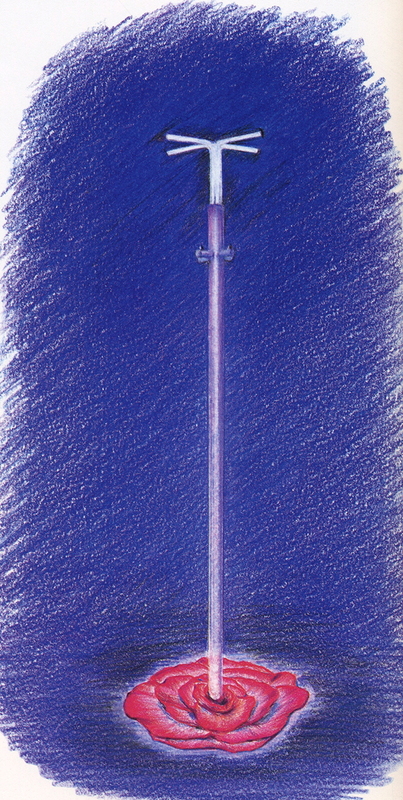 Roppie light, 1986. Steel, melamine, fired paint. Manufactured by Hiroyuki Hirai. 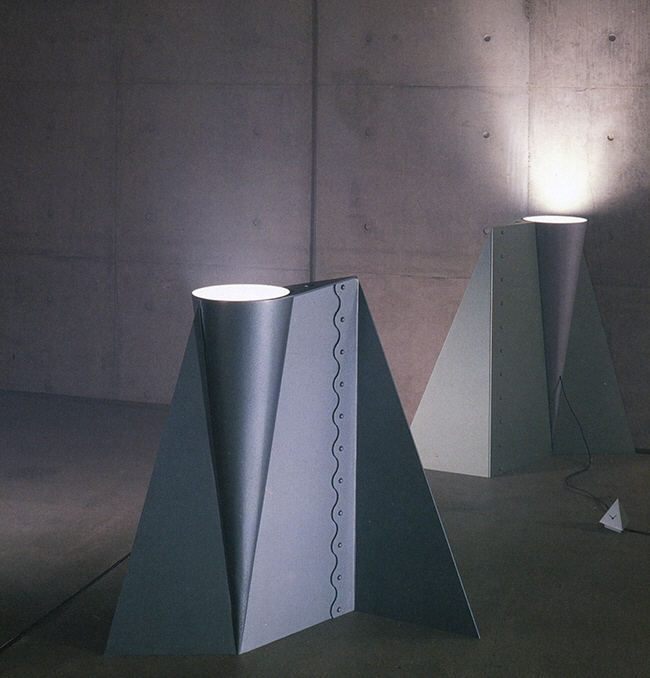 Babel lamp, 1986. Steel, melamine, fired paint, feathers. Manufactured by Ishimaru. This was the latest installment of our Designing Women series. Previously, we profiled Anne Swainson, founder of America's first corporate ID department.